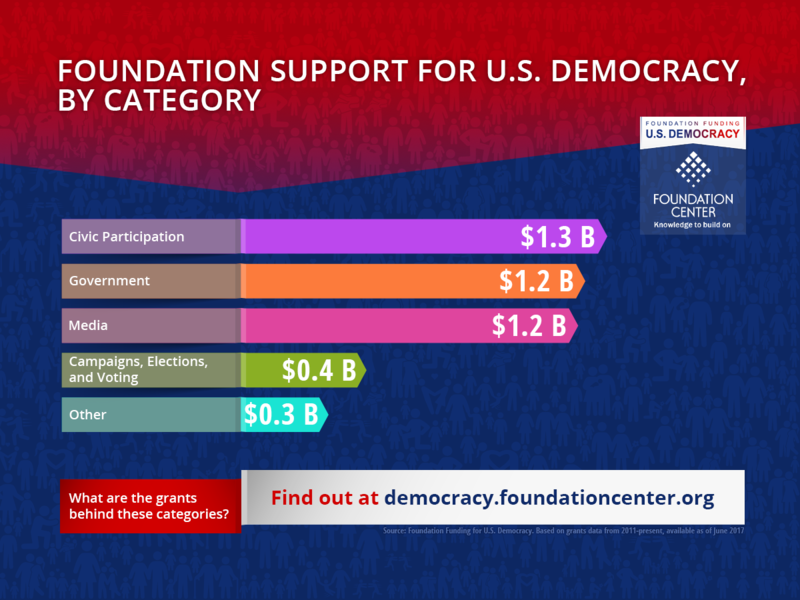 How does philanthropy engage with the U.S. election process? 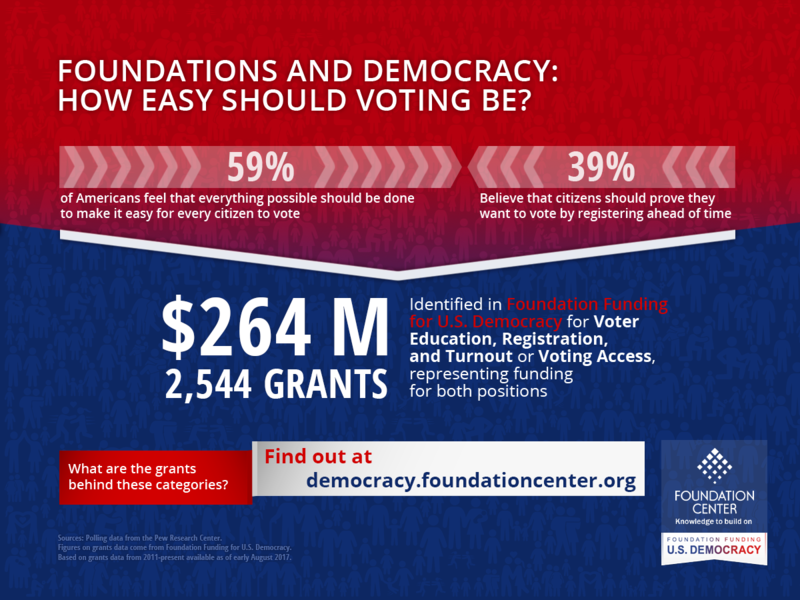 What forms of civic participation are funders supporting? 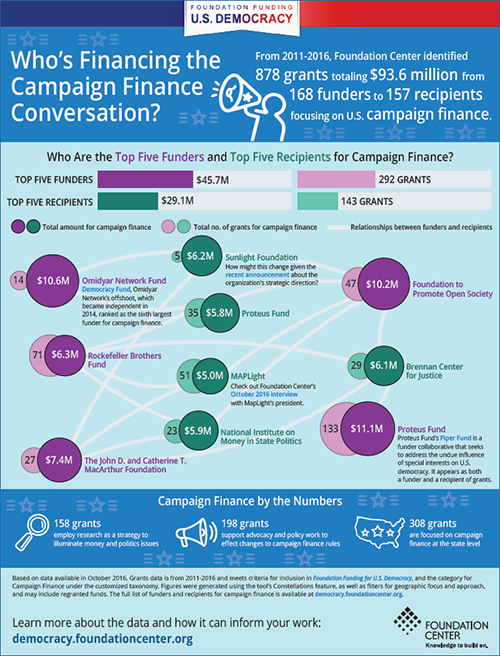 What does grantmaking around campaign finance issues, government transparency, or bipartisanship look like? 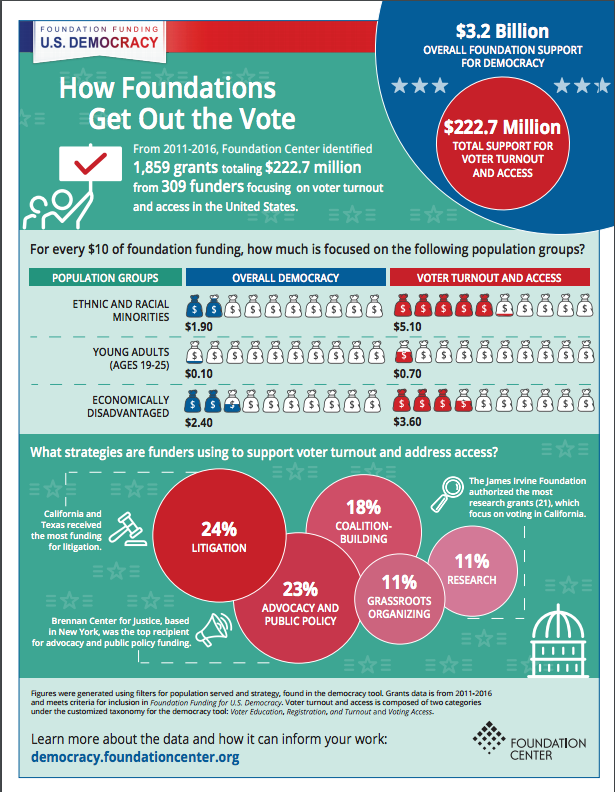 In this infographic series, Candid (formerly Foundation Center) utilizes the grants data in Foundation Funding for U.S. Democracy, a publicly available data visualization platform, to examine foundation grantmaking that aims to strengthen democracy in the United States. The U.S. dropped to #71 on the 2018 Corruption Perceptions Index, marking the first time since 2011 that it fell outside of the top 20 countries on the Index. 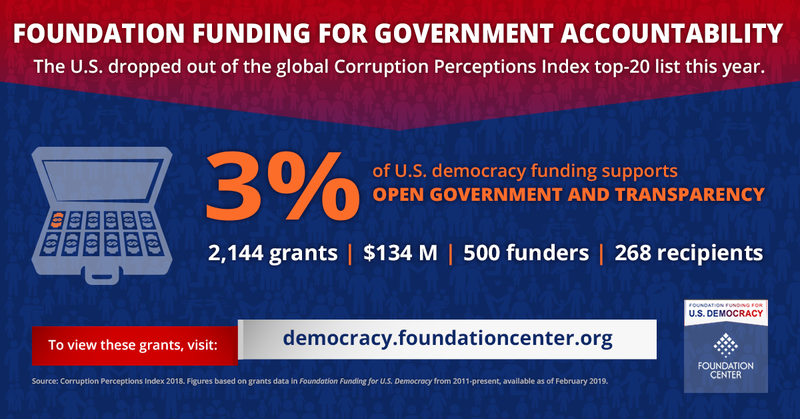 About 3 percent of overall democracy funding goes toward open government and transparency efforts. In 2021, voting districts in the U.S. will be redrawn and polls show bipartisan opposition to partisan gerrymandering. 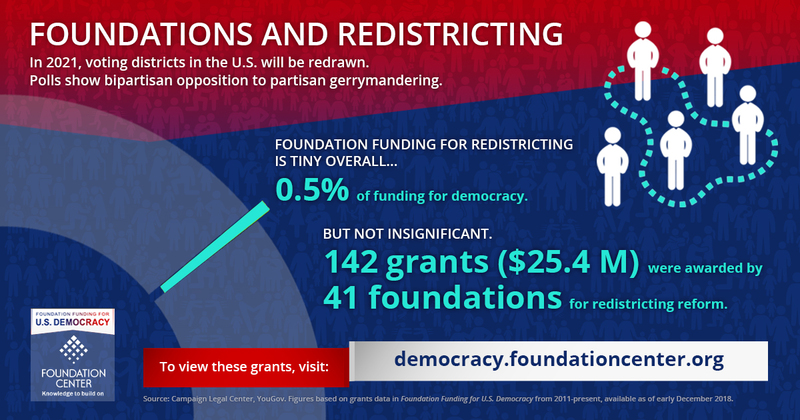 Although philanthropic support for redistricting reform is tiny, we’ve identified 41 funders who are not afraid to engage on this issue. How Easy Should Voting Be? 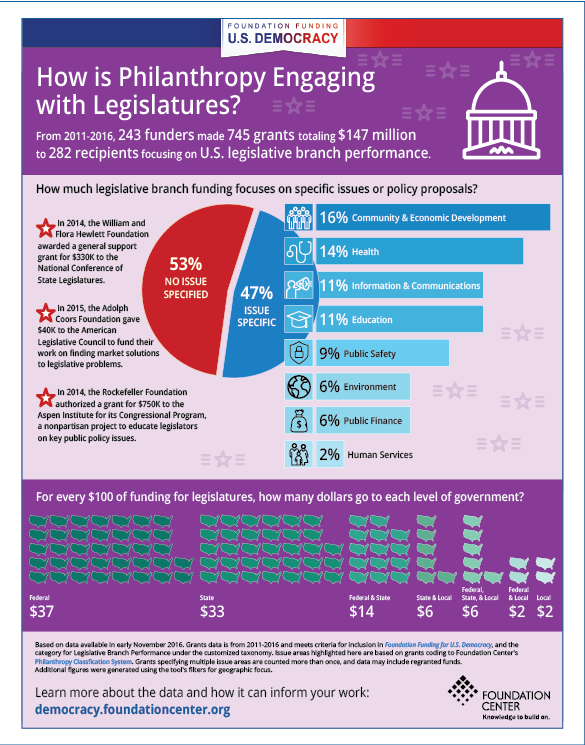 The third infographic in the series narrows in on foundation grantmaking that engages with U.S. legislatures. 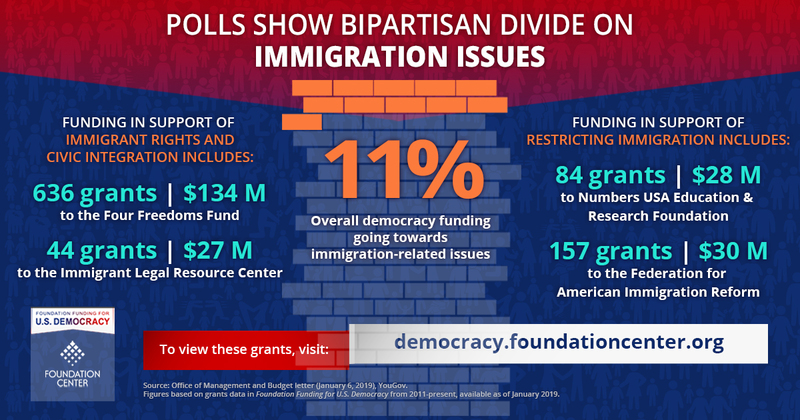 The findings indicate that just under half of all funding in this area focuses on one or more specific policy issue areas--such as health or education--while the balance of funding either doesn’t specify, or is more broadly aimed at promoting a sense of bipartisanship among legislators. 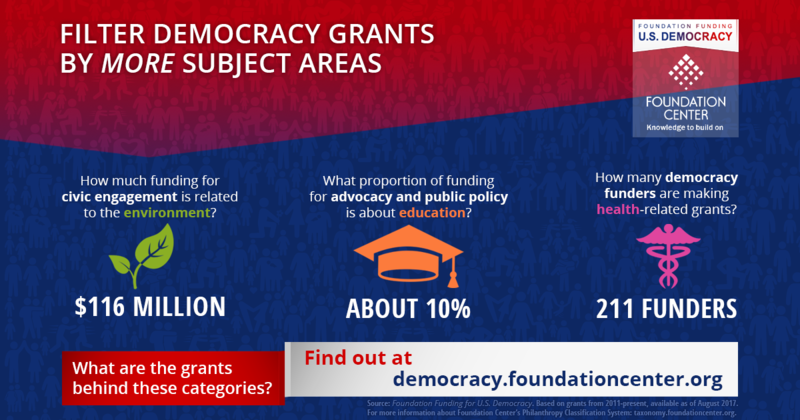 The infographic also identifies the proportion of funding going to different levels of government--national, state, and local--for this work.